Learn to ride like a pro and win races. Level up to get new outfits and improve your horse’s skills. Protect Moorland Stables from a greedy corporation. 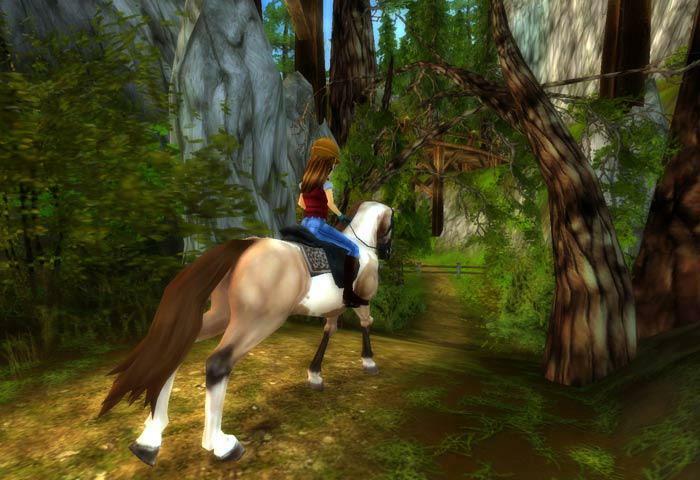 Star Stable is a beautiful horse simulation game with great graphics, a compelling storyline and of course, lots of horse-riding adventures. You not only get to take care of a lovely horse, you also need to help out people around your community. 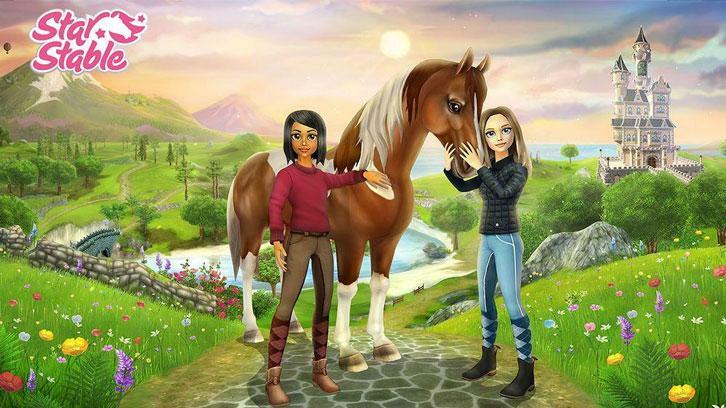 Star Stable is free to play for the first five levels, after which you need to subscribe with a monthly fee (starts at $8.49 for one month) or a one-time payment of $74.99. The upgrade will give you full access to all levels and bonus Star Coins. In this exciting game, you’ll learn to ride, gallop, jump with your horse and win races while earning money and a good reputation along the way. When you start the game, you can customize your own character as well as your horse. You can pick from a variety of horse breeds and customize their mane color. You also need to pick from a list of names to name yourself and your horse. Finally, when all is done, you can start moving your horse towards NPC’s (non-player characters) who will give you your quests. 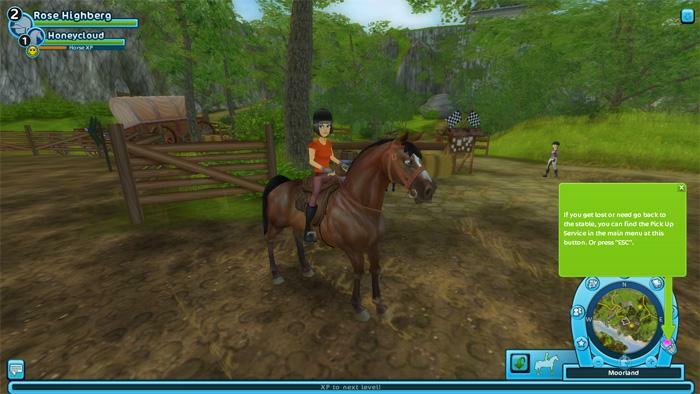 You can use the A, W, S and D keys to move your horse, or you can also use the arrow keys. The mouse can be used to control your horse if it's more preferrable to you. 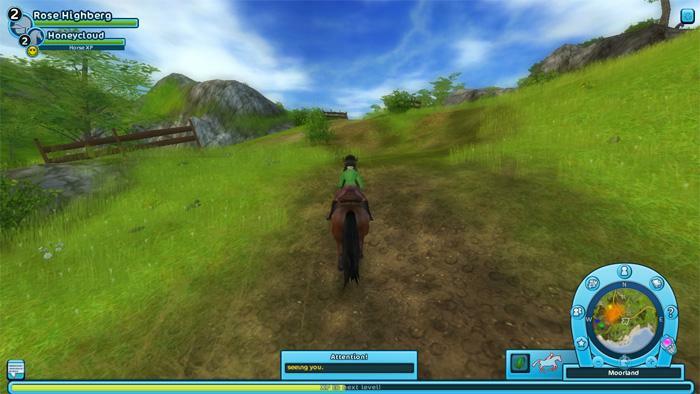 The scroll wheel moves the horse forward and back, while you can hold down the left mouse key and drag the mouse to the left or right to steer your horse. There’s always someone who’s willing to help, and you click on them to learn what you need to do next. In addition to horse care and training, you need to help Mr. Moorland save ownership of the stable. Moorland Stables is in danger of being razed to the ground by a corporation called G.E.D. You must help Mr. Moorland and his staff to stop G.E.D from carrying out an unlawful acquisition. Of course, this is still a horse simulation game and training your horse to win races is still a big part of your goals. To buy better gear for you and your horse, you need to earn some money. The regular currency is called Jorvik Shillings, and you earn these every time you complete a quest. Completing quests also adds XP points that help you level up and increase your Reputation. The premium currency in this game is called Star Points. Star Points are available to Star Riders who have subscribed to the paid membership. Once you've earned enough, you can buy outfits, horse equipment and food from various shops in the stable grounds. Certain horse movements like galloping and jumping are unlocked after you complete certain quests. Most of these quests will require you to show how well your horse can run in a race track. Once you’ve learned the basic skills, you’ll further be trained and tested with races and competitions that are suited for your level. Star Stable’s 3D graphics are far from real life, but it’s still very pleasing to the eye and the sound effects can convince you that you really are in the countryside. Because the quests are mostly finding and interacting with objects and joining races, this game is safe for kids to play. The missions are fairly easy to follow and the game controls easy to learn. This game is also multiplayer, so you can add and chat with friends within the game. You can even form a club or league to compete with others. There’s also an option to connect your Facebook account to your game, so you can share your progress and milestones on your Facebook page. Overall, Star Stable is a lovely and wholesome horse sim that’s great for anyone who likes riding horses and going on adventures. With gorgeous scenery, interesting characters and great horse-riding action, this game is definitely something to try. Brilliant Star Stable Wallpapers for You!